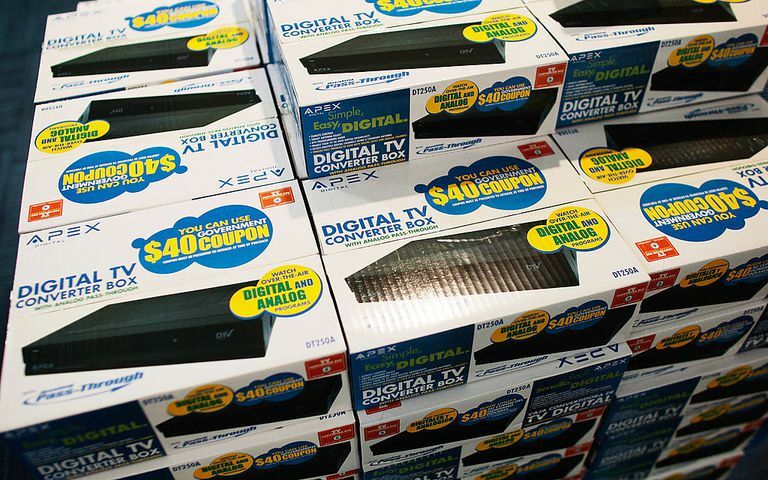 The digital-to-analog converter box coupon program was a result of the digital transition, which occurred on June 12, 2009. The subsidy program was enacted to provide over-the-air television viewers with an affordable way to continue receiving free digital over-the-air television services after the nation's television service transitioned to digital transmission and analog transmissions ceased. Because so many people needed to buy a DTV converter box, the U.S. government initiated a $40 coupon program to help ease the financial burden that consumers might feel as a result of the digital TV mandate. The coupons were offered by the government due to changing laws about over-the-air broadcasts, which required all broadcasts to switch to a digital-only format. In an effort to curb the financial impact on analog TV households, the National Telecommunications and Information Administration (NTIA) of the U.S. Department of Commerce developed a converter box coupon program that allowed analog TV households to request two $40 coupons towards the purchase of a digital-to-analog converter box. The program enjoyed input from the broadcast and consumer electronics industries as well as public interest groups. The program ran from January 1, 2008, and March 31, 2009. After July 31, 2009, consumers could no longer obtain free coupons from the United States government to purchase a digital converter box. The program allowed people with expired coupons to reapply until the program's deadline in July 2009. At midnight on July 31, 2009, the program expired, without extension. Toward the end of July, consumers were making 35,000 requests for coupons per day, with just over half those issued being used. On July 30, though, the number of requests totaled 78,000, and on the final day, 169,000 were received. Requests sent via mail with a postmark of July 31 or earlier were processed; about $300 million in funding remained. By August 5, 2009, consumers had used 33,962,696 coupons. The NTIA said 4,287,379 coupons had been requested but not redeemed. Do You Need a DTV Converter Box for Your HDTV?